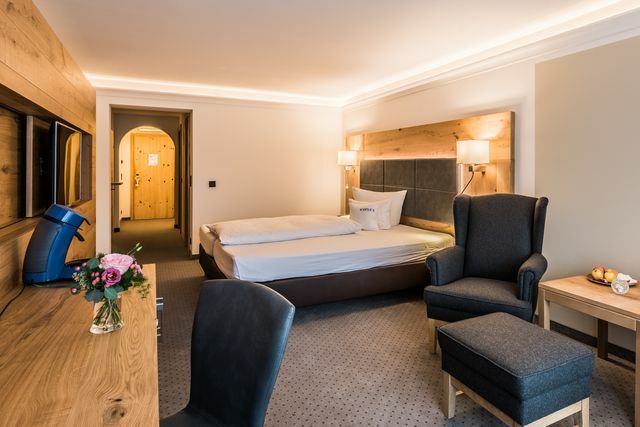 With our extensive health offers, the spacious spa area, and the diverse sport & leisure possibilities, our 4-star superior hotel in Oberstdorf has the perfect offer for your relaxing vacation in Allgäu. The single rooms, double rooms, apartments and suites are all equipped with a stylish bathroom, telephone, free WiFi, radio, satellite TV, safe and refrigerator. 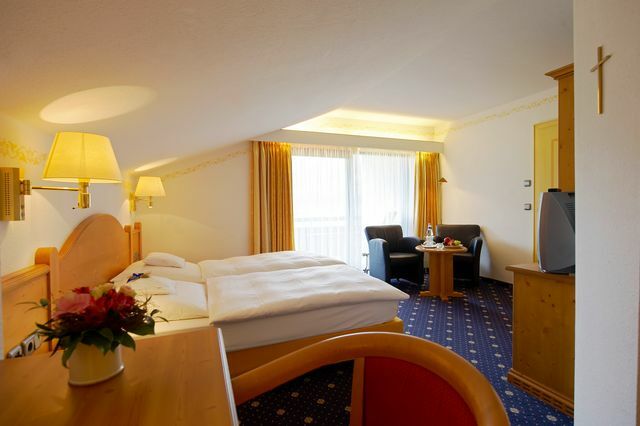 Most have a balcony with a heavenly view of the mountain panorama which surrounds our hotel in Oberstdorf. Renovated in 2016 and furnished in a modern style, with a view of the Rubihorn Mountain peak. 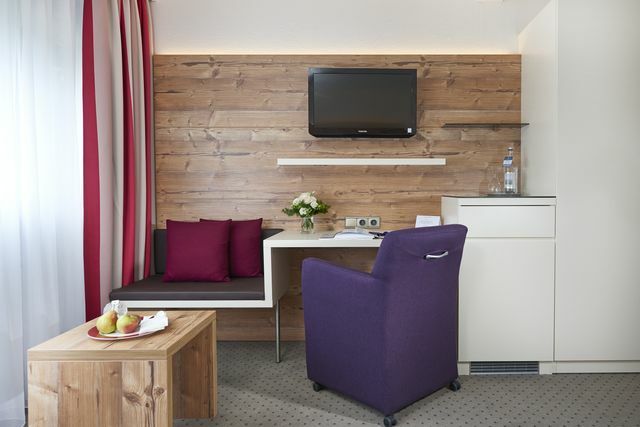 Stylish comfort with a view of the Nebelhorn Mountain, Oberstdorf's local mountain, or to the mountain peaks of the neighboring Kleinwalser Valley. A room to feel good in with a view of the Rubihorn Mountain peak. 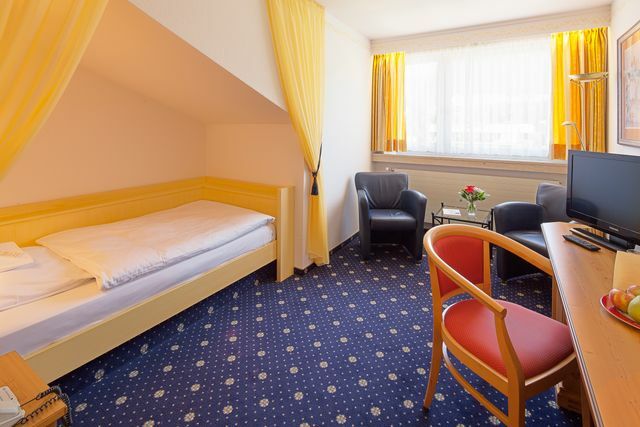 Bright and friendly, furnished in an alpine style, with a view of the meadows and crest of the Allgäu Mountains. With a view of the Nebelhorn Mountain, Oberstdorf's local mountain, or the peaks of the neighboring Kleinwalser Valley. 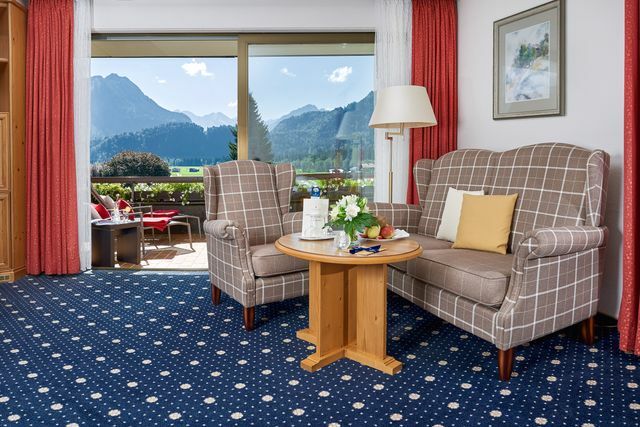 Spacious and cozy apartment with a magnificent view of the Oberstdorf meadows and the peaks of the Allgäu mountain chain. With a view of the Rubihorn Mountain peak. 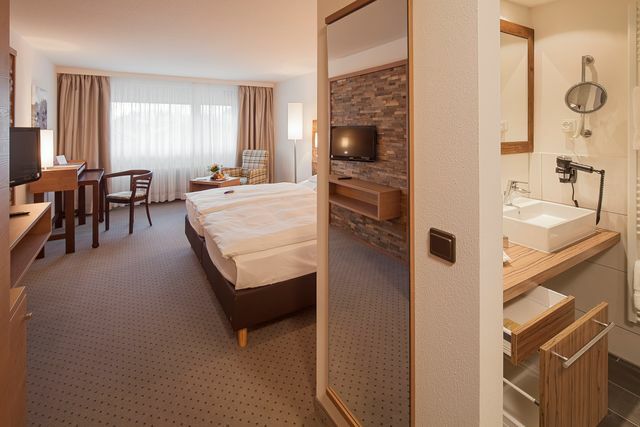 Luxuriously furnished room with an unobstructed view of the meadows in Oberstdorf and the peaks of the Allgäu mountain chain. 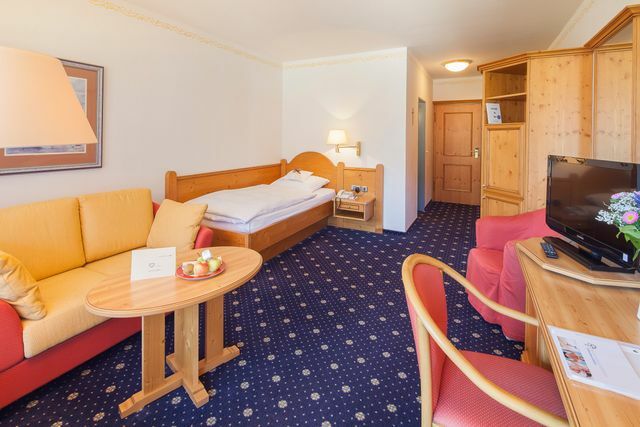 Spacious and cozy apartment with a fantastic view of the Oberstdorf meadows and the peaks of the Allgäu mountain chain. 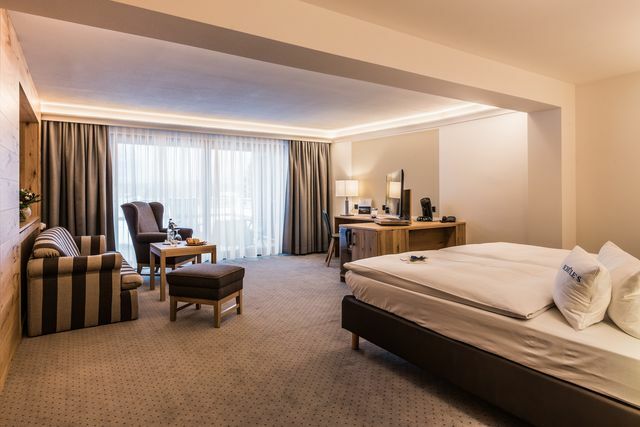 Our new, spacious panorama double room is a room with a well-being guarantee. A large window facade allows for an unobstructed view of the Oberstdorf mountains. Spacious living in a regional country-house style with an unobstructed view of the peaks of the Allgäu Alps. 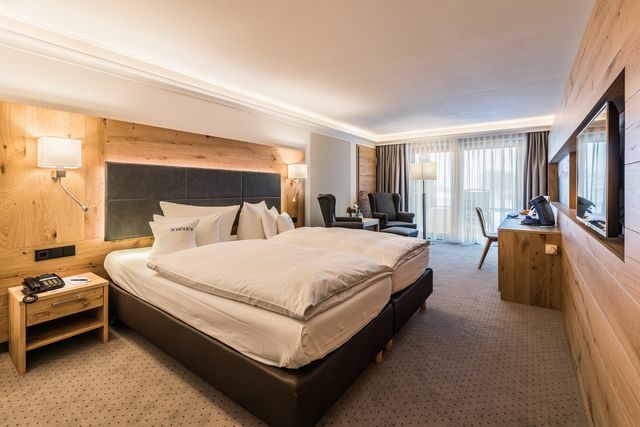 More room to take your time – luxuriously furnished suite in an alpine style, with a view of the mountain panorama which cannot be equaled in Oberstdorf. People who enjoy a fit and active life feel good. The abudnant hours of sunshine in the Allgäu make you want to get out and get some exercise: hiking, mountain biking, downhill or cross-country skiing, fitness or personal training. Exercise becomes your very own personal fountain of health. The happiness in knowing you are doing something good for yourself lets you shine just like the sun. There is room and time to listen to your inner self when nothing disturbs you. And time to enjoy the wonderful ambience at SCHÜLE's. We are focused on the details of our pampering service. Evening reflections, cultural and art events, autogenic training or Qi Gong. Find your inner balance in your own way. The more space you leace for nature, the more possibilities it opens up to you. 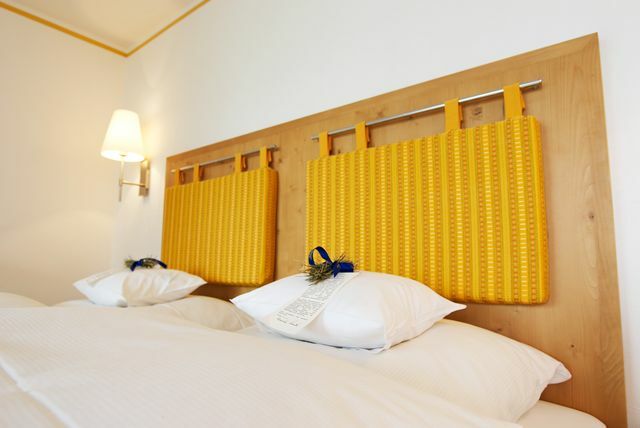 SCHÜLE’S is nestled harmoniously between the mountain meadows in the south part of Oberstdorf. Enjoy the garden landscape and the magnificent mountain view, the regional cuisine with herbs from our own herb garden, regional treatments with mountan meadow hay or Kneipp infusions with clear water. In SCHÜLE’S Gesundheitsresort we combine carefree vacation flair and first-class health competence. Qualified specialist physisicians and compentent therapists offer an extensive range of treatments and take all of your health questions seriously. In addition, you can enjoy a healthy, fresh and especially tasty cuisine. The fascination of water – so natural, so pure. And with a lively energy that fascinates and enchants. For more than 50 years, SCHÜLE’S guests have been drawing vitality from water. Float in the soothing warmth of the water – pure relaxation. A cold Kneipp infusion wakes your spirit. Whatever you are yearning for, water can give it to you. 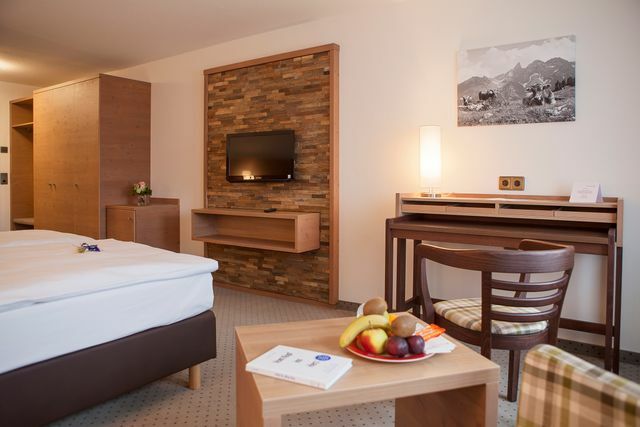 Our one-of-a-kind location in Oberstdorf ensures a magnificent view of 14 mountain peaks. Treat yourself to a well-earned timeout in our 12,000m² park or on our sun terrace and enjoy pure nature. Not convinced yet? Then take a look at our numerous included services and advantages for our guests. You've already decided to visit us? 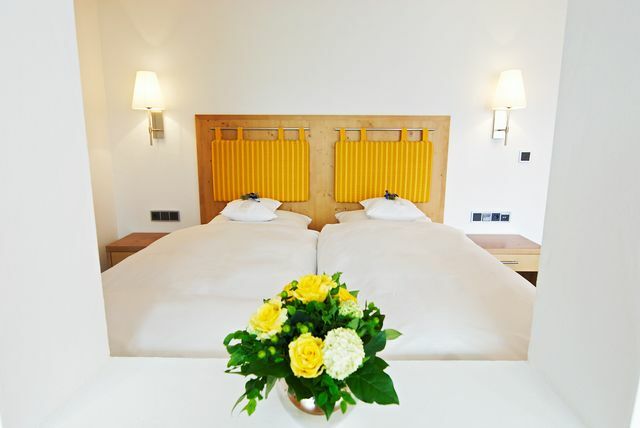 Then you can find the perfect offer and room for your vacation in Allgäu – take a look now. Regional - fresh - delicious. That's the best way to describe our excellent cuisine.